The initial idea of the web was to keep several computers connected within an institute so that it becomes easier to access documents and other files. It was later opened to the general public and since then, it has been a place where you can find information about almost anything. The content creators from all parts of the world make this possible. 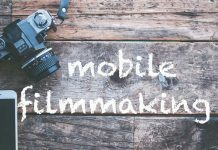 Ads are one of the simplified ways to reward a content creator and the ad-based revenue model has proved to be a way to pay the bills. 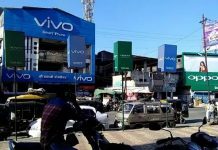 But greed for more has made few advertising services exploit this model by introducing annoying ads that are harder to ignore. I bet that in the last 24 hours you might have visited at least one website that is filled with annoying ads. There is just one way to tackle that, and that is ad blockers. If you are a casual internet browser, you won’t really care using it, but if it’s a large part of your daily life then you must use it. When you are opening a website in your browser, it is not just downloading the content, there are design elements which will make the content look good (think about any theme from MTS). Apart from that, several other scripts are loaded to serve ads on the page. 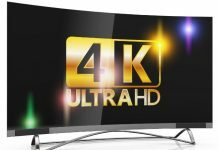 The universe of the scripts is pretty broad, it can be as simple as displaying ads dynamically or it can be as notorious as installing a cookie to track your browsing activities to serve targeted ads. While for some people, seeing ads about dog food, when they actually have searched things related to dogs, is quite a deal, it will annoy some people who care about their privacy too much. Not to forget, when you block such scripts, it saves data bandwidth. Some websites would take as much as 70 per cent of the data just to load ads on a page. Ad blockers would potentially save this bandwidth. We know that the choice of using ad blockers will hurt the revenue of content creators, but its the price that has to be paid in order to keep the web cleaner and faster. So, we bring some of the best ad blockers you can use in 2018 to make the most of the web and spend your time in consuming the actual content rather than seeing annoying ads. Ad blockers are available for both mobile and desktop. While for desktops, you can simply install them as extensions in your browser. For mobiles, you can simply install browser apps on your iPhone or Android from App Store or Play Store respectively. We will mention the ad blockers for mobiles and desktops separately. The number one in the list is Adblock Plus, which is the most popular adblocker with millions of users using it on a daily basis. It is available as a browser extension for every popular browser and is also available for mobile devices. It also allows some non-intrusive ads, which can allow publishers to show minimalistic ads without hampering the User Experience. 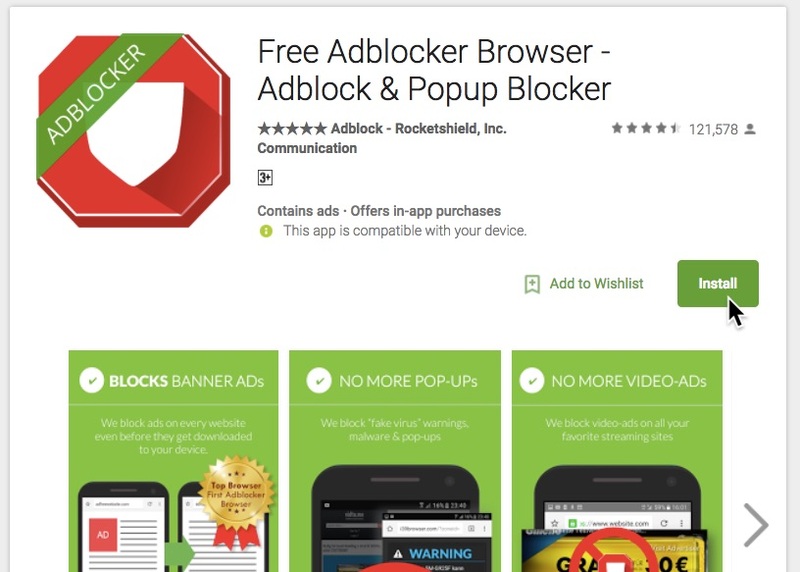 With 100 million installs on Google Chrome, it is easily the best ad blocker for Chrome. The fact that ABP has been installed by so many people, would guarantee the further development of this extension and the ability to fix bugs in the extension quickly. 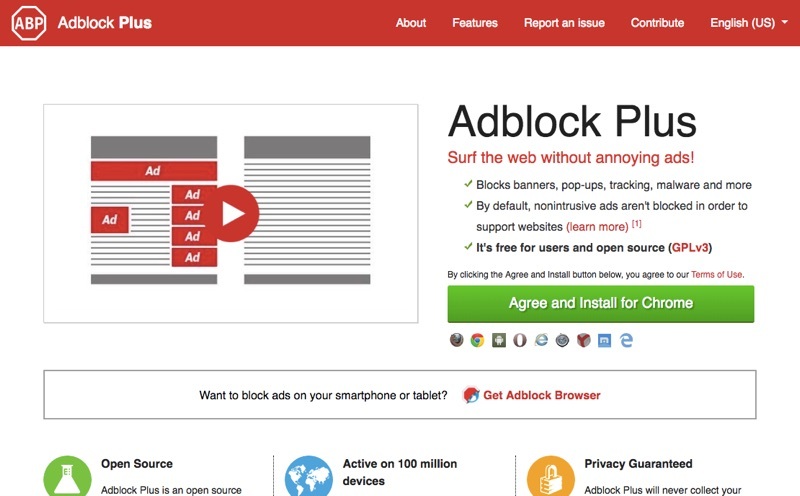 Adblock is an ad blocker, from a different company than Adblock Plus. With over 14 million users on Chrome, it is the second most used ad blocker for Chrome. The extension is free to use and the developers accept donations, which is the only way that supports the further development of this extension. 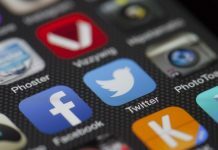 This extension blocks ads from all the social networks and websites you browse in Google Chrome, and it is also available for different browsers like Internet Explorer, Safari, Opera, and Firefox. 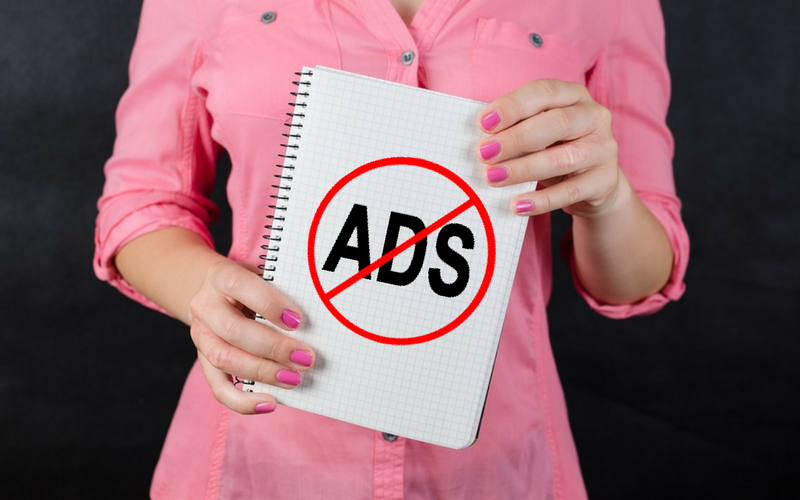 The Ads are blocked on all the websites automatically by default, which can be changed by whitelisting a website in just two clicks. For the majority of people, their primary browser is Google Chrome, and 2018 will be the year when ad blocking feature would natively be available in Google Chrome. 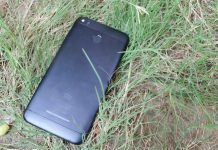 Google has been working to make the web faster by bringing technologies like AMP and Progressive web apps for mobile phones. It also knows (by looking at the number of people installing the ad blocking extensions) that the majority of people are already using ad blocking applications, so why not bring it to their browser natively. Google’s majority of revenue comes from Advertisement, so it is likely they will allow the minimal ads and only block annoying ads that pop up in the face of users. 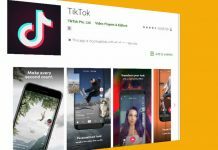 Offered by Stand App, this ad blocker, as the name suggests, aims to make your browsing experience clean and fast by blocking annoying popups and malware and still let you support web publishers who serve users the number of ads they choose to accept. You have the choice to unblock ads for few websites so that they can keep receiving advertising revenue to keep providing awesome content for free. This ad blocker has been installed more than 4 million times on Google Chrome alone. It’s available for all the major browsers. Even though its an ad blocker extension for browsers, its parent company, AdGuad offers more than just ad blocking. AdGuard app is available for Mac, Windows, iOS and Android. When used with the ad blocker browser extension, it not only prevents users from seeing annoying ads but also saves them from phishing and fraud. 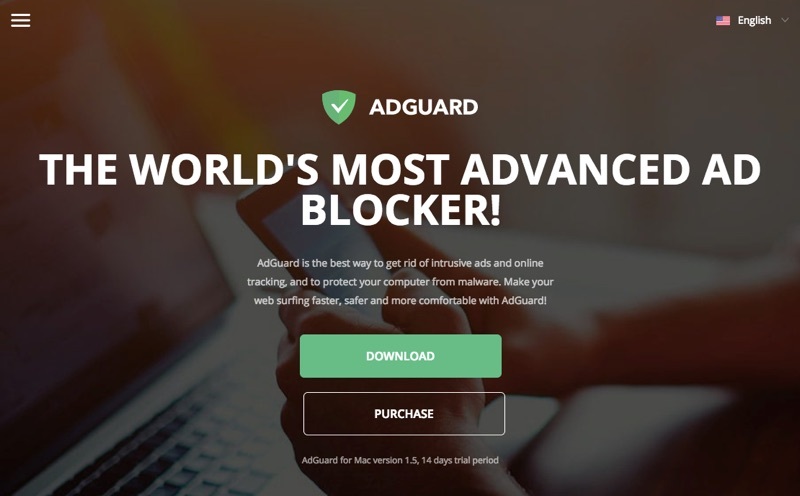 The AdGuard app is paid but the browser extension is free to use on all popular browsers. The extension gives an easy interface to turn off the ad blocker for a particular site. It also gives out information regarding how many ads have been blocked on a particular site. Having such information makes it easy for a user to whitelist certain sites that are not displaying too many ads so that the ads can still support the publishers by generating revenue. The market for ad blockers is already crowded, but only a handful of ad blockers actually give you the transparency that they are not letting any ad bypass the ad blockers and uBlock is one of them. 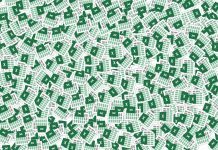 It is a lightweight and memory efficient blocker that’s absolutely free. The developers ask for a donation, and that’s the only medium for this app for further development and updates. uBlock is available for Chrome, Safari, and Firefox, you can install it as an extension for any of these browsers and enjoy the content, clutter-free. The AdBlocker Ultimate is quite harsh on the publishers, it doesn’t even have the option of whitelisting websites. It simply blocks ads on all websites. No option of having whitelisted website means it is a no-brainer ad blocker, the user would just need to install the ad blocker and does not have to worry about configuring it further, whitelisting or blacklisting websites. In other words, it’s an ultimate ad blocker extension for someone who is annoyed by the ads everywhere and doesn’t want to see them at all. Since YouTube is the second largest search engine on the internet, the majority of people spend most of the time on YouTube when it comes to internet browsing. 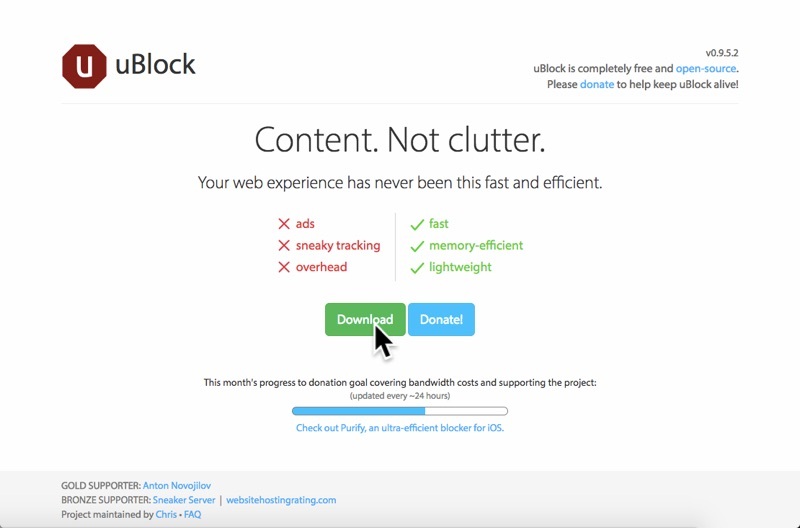 Using an ad blocker for YouTube, users can not only save bandwidth but also save their precious time by also skipping the unskippable ads. YouTube has come up with a subscription-based model where they provide an ads-free experience of watching videos and using this ad blocker would mean you are also saving some money you would otherwise have to spend on the subscription. On Chrome, this extension has got over 5 million users, and on Firefox it has got 16000 users. The most popular ad blocker for YouTube for Firefox browser is AdBlocker for YouTube by AdBlockLite, which has got over 300,000 users. 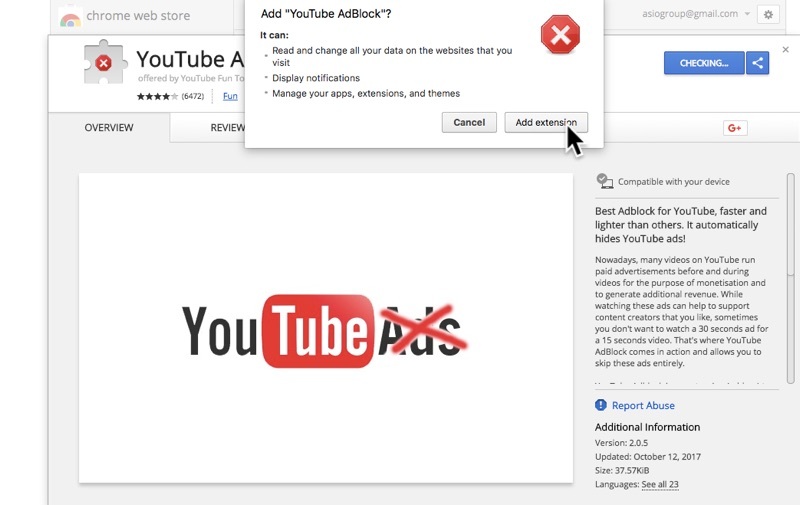 YouTube AdBlock is a lightweight extension for blocking ads on YouTube. 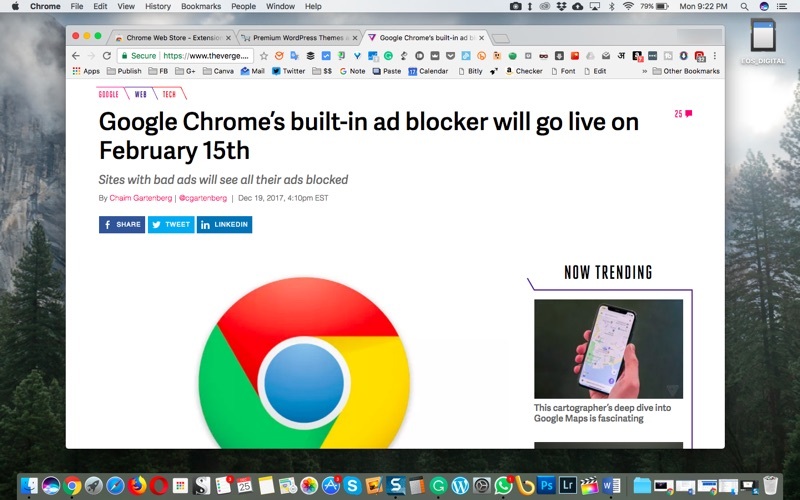 You can install this ad blocker on YouTube when your Google Chrome is already loaded with dozens of extensions since more extensions can slow down the browser performance. The size of this extension is just 37kb. 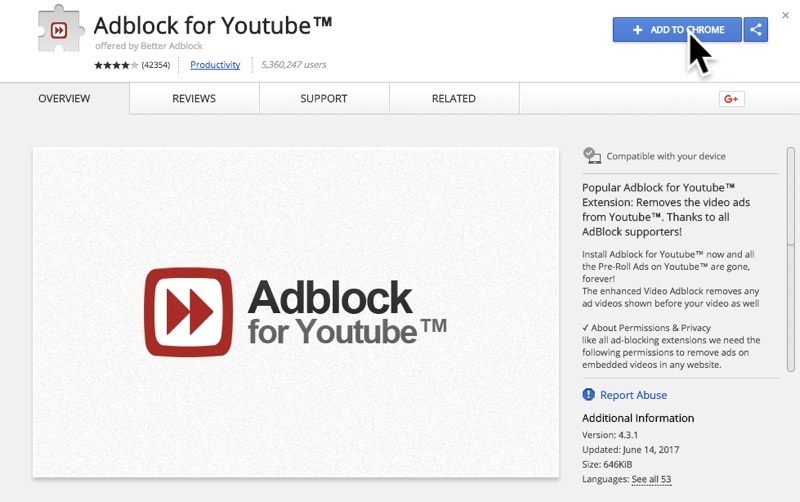 Which means, its claim to be one of the lightweight Ad-block extensions for YouTube is true. The extension is quite straightforward and does not give you any options to whitelist, it simply does one job, and that is, block all video and banner ads on YouTube. So if you are annoyed by the Ads on YouTube and do not want to watch a 30-second ad before watching the actual video, you can install this extension. The mobile browsers are less powerful in comparison to desktop browsers. 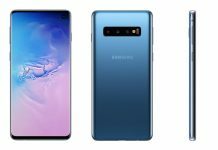 Though the majority of the websites are responsive these days, it doesn’t mean they can efficiently load on mobile browsers since the ad codes meant to display ads on desktops are still loaded on mobile browsers. Blocking ads on such websites can significantly improve the browsing experience as the websites can be loaded much faster when the ads are blocked. This thread on Hacker News talks about how a page from popular tech website The Verge consumed 19.6 MB of data when loaded without the ad blocker and consumed just 1.5 MB of data when it was loaded with the ad blocker turned on. 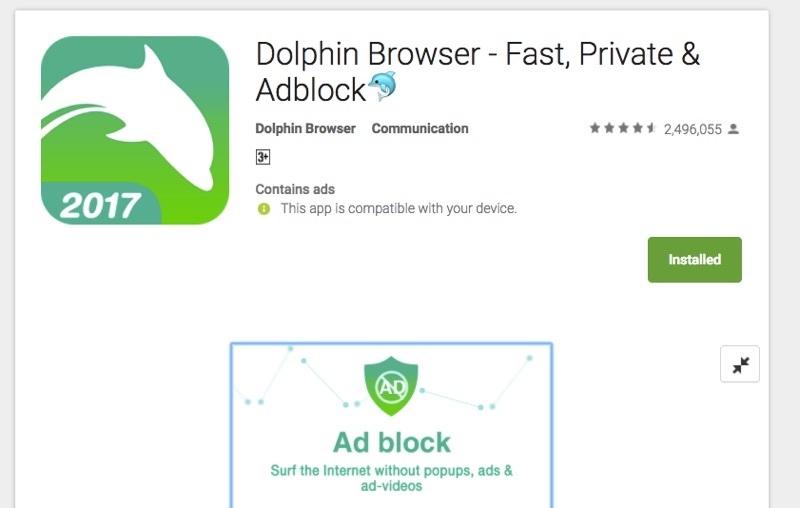 Dolphin browser is one of the first browsers to come up with the ad blocking feature. The app has been installed over 150 million times and has gone through a number of changes since its release in 2011. The app has maintained 4.5-star rating since then, with over 1.8 million 5 star ratings. The Dolphin browser app has got many other unique features like gestures for launching websites quickly and the ability to use add-ons. mobile and start using it for browsing websites faster. 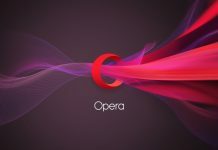 Opera browser is not just one of the oldest browsers for Android but it also has a cleaner interface. 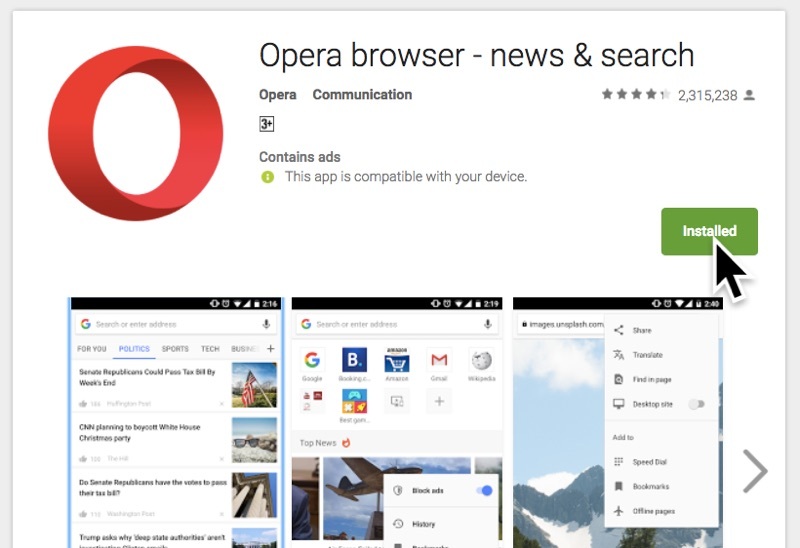 There is a lite version of Opera also available but we would recommend using Opera browser for rich web experience. This browser makes the browsing experience faster by giving you the option to turn off images on websites and blocking ads. 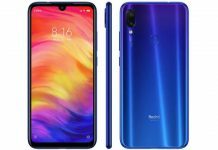 Its data compression feature lets users enjoy rich browsing experience even on slower internet connections. The browser also has got a built-in newsfeed which lets users browse content in a clutter-free interface. Opera browser is one of the best browsers you can use on your smartphone on a daily basis which can let you browse the web faster. This browser is by Mozilla. 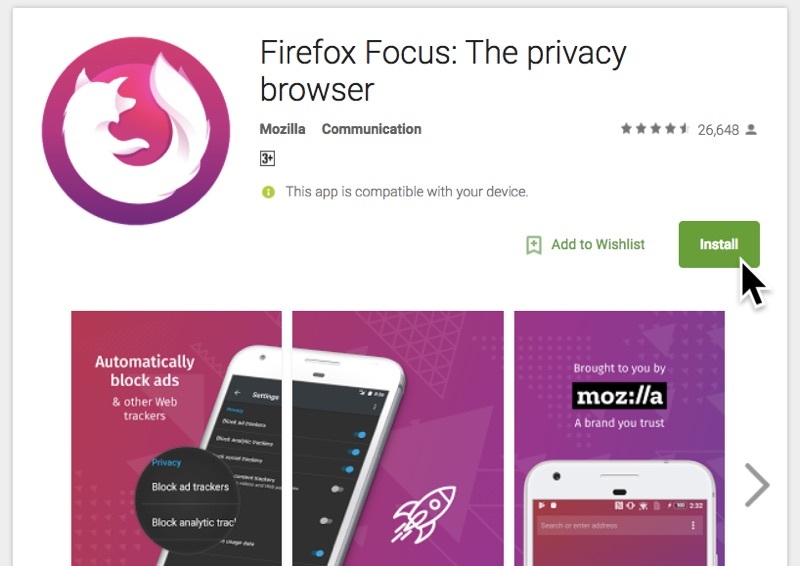 Though Mozilla has already got a mobile browser that has been installed over 100 million times, the purpose of the Firefox Focus browser is to take privacy to the next level. The Firefox Focus browser blocks all kinds of ads and trackers automatically, which means, you don’t have to spend time and energy in configuring anything. Simply launch the app and start browsing, the app will take care of the rest by blocking all the ads and removing trackers. The browser doesn’t only block ads, but it also erases passwords and cookies whenever you exit the app. The browser is, as Mozilla claims, next level privacy. The browser has got more than 1 million installs and is maintaining a review score of 4.5, the majority of which have been 5 stars. You should install this app if you give importance to privacy and don’t want to spend time learning how to block ads and remove trackers. The name may sound a little generic but it is one of the most popular ad-blocking browser available on Android that is been installed more than 5 million times. 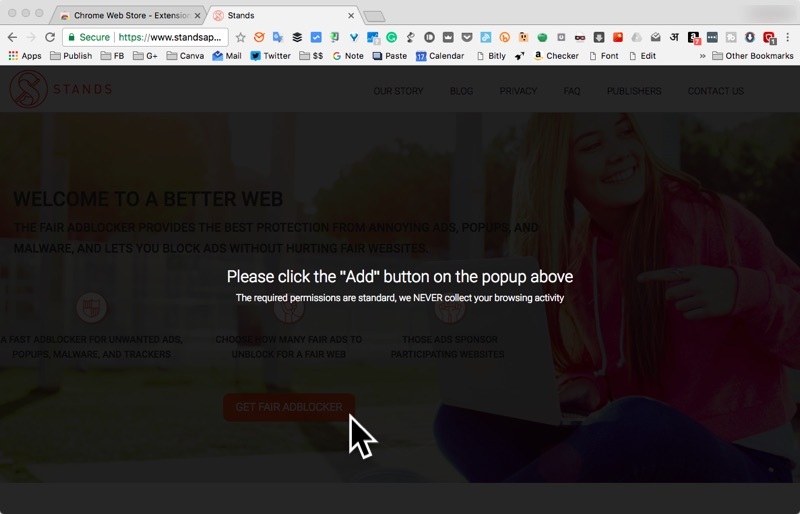 The browser is capable of blocking even the notorious popups and pre-loaded video ads that are becoming more common on news sites these days. You can save as much as 20% of the internet data by blocking video ads from getting pre-loaded. You might have visited websites where you click on a link and a handful of tabs open in the browser on their own, if your visit to such websites is frequent, you should install this browser on your Android phone. It also gets regular updates, and the majority of the reviews are positive. The Free Adblocker Browser can be used as an alternative browser. When Apple allowed ad blocking apps in the App Store it took no time to get filled with dozens of ad blockers, the Purify app quickly became one of the best ad blockers for iOS with so many good reviews. 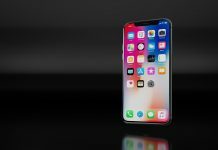 Due to how the ad blockers work on the iOS platform, many users face issues with ad blockers where the app either doesn’t load the websites correctly or it doesn’t block ads at all. 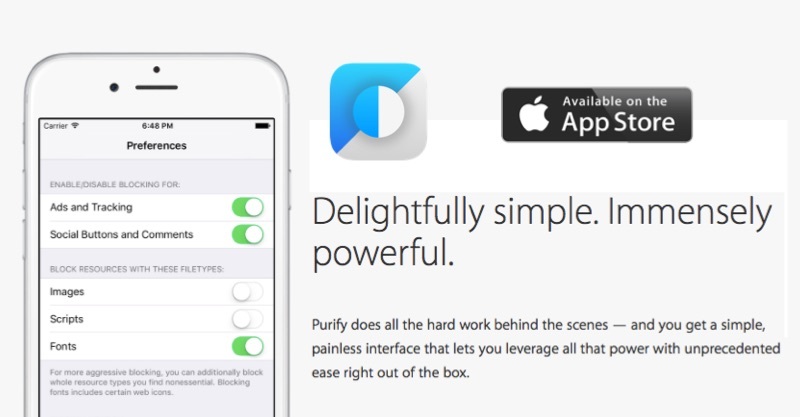 We found the Purify app to be working well for the majority of the users. Purify app is from the same developers who developed uBlock, which means you can put a bit of trust in this app and use it for a fast browsing experience on the iPhone. 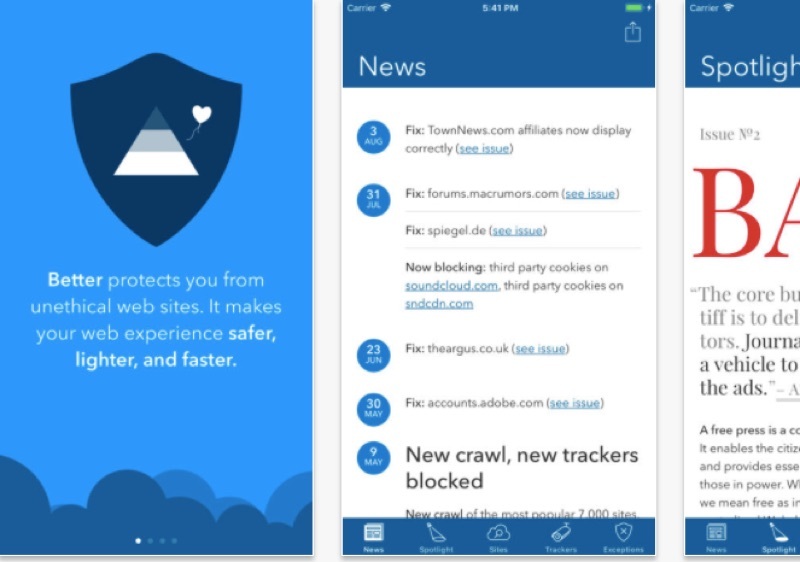 Better blocker is another app that you can install on your iPhone, or iPad, and get a better browsing experience, save battery, data, and time. Better blocker app is created by a team of 2 people, probably after their own experience of dealing with annoying ads. The app would remove just the annoying ads in Safari browser on the iPhone, and iPad, and would let respectful ads bypass the blocker, something respectful web publishers would appreciate. 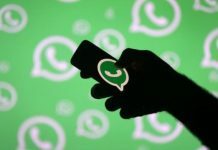 On their website, the developers have mentioned that they tested the app by loading 5000 most popular websites with and without the Better blocker app installed. It blocked 95,139 server requests, saved 739.99 MB of Internet data and 3.78 hours of time when the Better blocker app was installed, making the web browsing safer, lighter and faster. These are some of the best ad blockers you can use this year to make the most of the web, browse website clutter-free and get access to information faster so that you can spend your time in doing things you love rather than waiting for your favourite websites to load. There might be some ad blockers available for different devices that we may have missed listing here. Feel free to mention them in the comments below to make this a resourceful page for finding the best ad blockers for 2019. 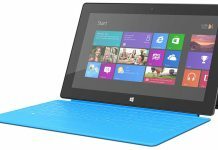 Disclaimer: Techtippr is an independent tech site that is run by a team of three people, and is supported by Ads. We run minimum ads, if you want to support us, please whitelist us in the ads blockers if you can. Thank you. Previous articleHow do I change work address on Google Maps? 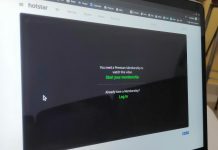 How to Get Hotstar Premium Account for Free?